Many of us at least once in their lives had to work at night or vice versa – to work after a sleepless night. In such cases different people use different ways to stimulate their body. Most often for such stimulation coffee is used – a beverage that has quite tonic properties. To cook really delicious and aromatic coffee is best to use coffee beans that are grinded just before cooking. Today we look at the features of such device as a household electric coffee beans grinder that helps with making a real good drink. A coffee grinder history began with a special mortar in which the ancient tone lovers manually crushed coffee beans. Later for that purpose, similar to milling wheat for making bread, began using millstones. Mechanical grinders of coffee with such principle were so successful that we can also find it in modern electric grinders. Capacity of grinder indicates what maximum mass of grains can be placed in it at one time. Capacity can be from 30 to 250 grams. Great coffee grinder can hold 280 grams and more of grains. When choosing grinder capacity – consider your need for coffee, based on the fact that for one coffee cup you will need roughly 7 grams of crushed grains. For example, if the capacity of the grinder is 30 grams – in the middle you can cook 4 cups. However, remember that you can always pour less, but more – can’t. Power of coffee grinder depends on its capacity. The more capacity – the more power. On average grinder power range from 80 to 280 watts, that is comparable to most low-performance blenders. It can be recommended coffee grind uses with an average of 150-180 Watts power. With such power grinder capacity is often 75-80 grams. Coffee grinders divided into types depending on the method of grains grinding. The most widely used such types of coffee grinders as rotary grinders and millstone grinders. A rotary (with knives) coffee grinder performs grinding with a special rotary blade that rotates at great speed. A millstone electric coffee grinder performs grinding with two discs between them and fray grain. Each of these types has its own characteristics. Rotary grinders are a little bit faster, but they provide a slightly miscellaneous crushed powder. A good millstone coffee grinder provides coffee powder with a high degree of homogeneity, and special grinding regulator allows to adjust its degree in such a device. Thanks to these features good millstone coffee grinders are more expensive than rotary. In general we can say if you want just brewed coffee – you can buy the best cheap rotary grinder, but if you want to use the coffee maker it is better to look for millstone models. Housing coffee grinders are often made of plastic or metal. Plastic has become increasingly common, although the metal body is usually better. Protection against overload. This protection disconnects the device in case when a grinder motor temperature exceeds a certain set value, thus avoiding breakdowns. Automatic locking. Lock will not allow using the unit if it is incorrectly assembled. Automatic locking is especially important for rotary grinders, because improper assembly can even get hurt. Place for winding the cable. It seems a small thing, but if there is no such place – the cable will either hang or you will coil it on the body of the grinder. 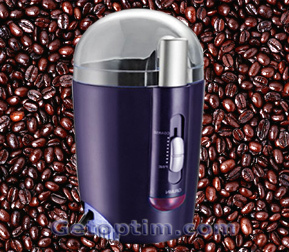 I hope you will be easier to determine what is the best hand coffee grinder for home now.